When Honda first introduced its new second generation Insight which it calls the "hybrid for everyone" in March, it was touted as a Prius killer. Unfortunately for Honda, as a report in the LA Times puts it, "it is looking a lot like road kill." The third generation Prius went on sale in the US in June. In the second quarter of 2009 Honda sold 7,524 Insights compared to Toyota selling 40,398 Priuses. In June alone Toyota sold 11,050 3rd generation Priuses. Even worse, Honda's strategy of marketing the car as a low cost hybrid and selling it at $19,800 is about to be pressured further when Toyota releases an entry level Prius I model in September at a mere $21,000. 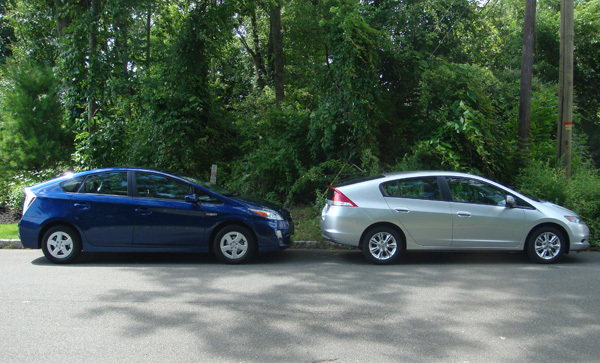 Despite looking similar, the Insight does not fare as well as the Prius in road tests or fuel efficiency. You can read our head to head direct comparison with video to see why. Honda is planning to try to introduce some engineering improvements to the car much sooner than expected in an effort to help sales. Sales volumes are pacing at less than one third what Honda had hoped for. So although Honda may be losing the hybrid war once again to Toyota in 2009, come 2010 and the edge of the EV tidal wave, both companies may find themselves in troubled water. Why Haven't Hybrid Sales Been Higher, And Should They Be?